Cologne have signed the Bundesliga’s all-time leading foreign goalscorer, Claudio Pizarro, in a bid to rectify their troubles in front of goal this season. 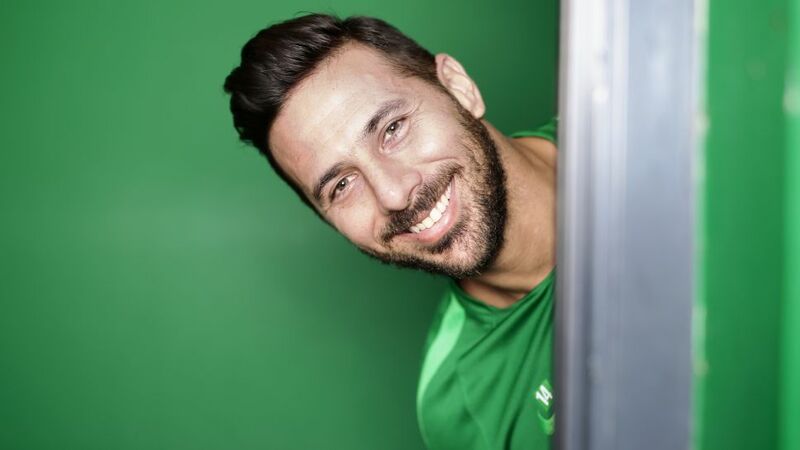 Pizarro, who turns 39 on Tuesday, has been a free agent since leaving Werder Bremen at the end of the season. In three spells with Bremen and two with Bayern Munich, the Peruvian has scored 191 Bundesliga goals - an all-time high for a foreign player. Cologne’s leading scorer last season, Anthony Modeste, left for China this summer and the Billy-Goats have struggled in front of goal in his absence, only scoring once in six games this term. Currently bottom of the Bundesliga, Peter Stöger’s side are faring little better on the European front: Thursday’s 1-0 home defeat to Red Star Belgrade has left Cologne bottom of UEFA Europa League Group H.
Watch: check out Bremen's final Pizza delivery on Matchday 24 last season! Pizarro is the only player in Bundesliga history to score more than 80 goals for two clubs (104 for Bremen, 87 for Bayern).Pizarro's last goal for Bremen came on Matchday 24 last season in a 1-1 draw at Bayer Leverkusen: he was 38 years and 158 days old - only eight players have been older and scored in the top flight.With 104 goals in 206 Bundesliga games, Pizarro is Bremen's all-time leading scorer.Not only is Pizarro the Bundesliga's all-time leading foreign goalscorer with 191 top-flight goals, the Peruvian is fifth in the all-time scoring list in Germany's top flight.While at Bayern in 2013, Pizarro became the first Peruvian to win the UEFA Champions League. Click right here for more Cologne news!